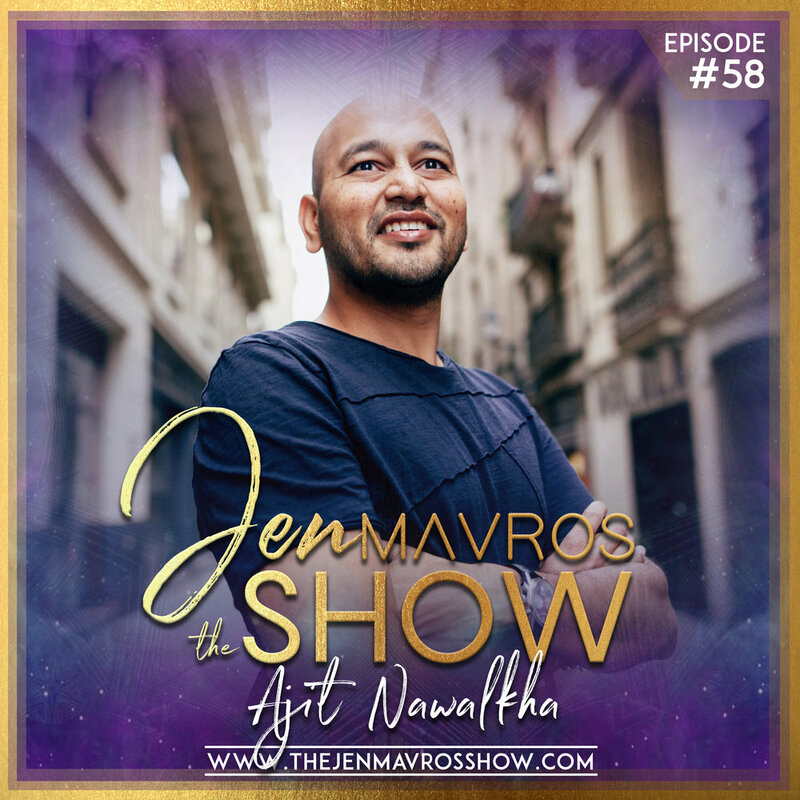 In Episode #58 on The Jen Mavros Show, I’m thrilled to introduce you to the incredible, Ajit Nawalkha. Grab a cup of tea and come sit with us as we piece together Ajit’s story of entrepreneurial ambition and service and dig into what success really means, how he makes business decisions, and what he thinks is most important for coaches dealing with comparisonitis - NEED to know. This stuff is gold and so inspiring. Ajit is the Co-Founder of Mindvalley, the Host of Evercoach, and the author of The Book of Coaching: For Extraordinary Coaches. He grew up in Jaipur, India where his lack of abundance and uncomfortable shared living situation lit a fire in him to better himself and those around him. Through a series of mentorships and startup failures, he found himself as an intern at the newly created Mindvalley, which led him on a journey with an underlying mission to help humanity make positive progress. This episode will encourage you to look more deeply at what TRULY matters when it comes to succeeding in your business and in your life. An inspiring chat with a warm, loving soul that you won’t want to miss. Enjoy!! "I believe as entrepreneurs we are heroes. We fall, we rise, we question the world and we try to fix it." Ajit Nawalkha is an entrepreneur, business coach, founder of Evercoach, author of The Book of Coaching, a co-founder of Mindvalley and key investor in successful companies like Blinkwebinars and Zenward. Ajit built his reputation the old-fashioned way — with persistence, grit and an unshakeable determination to succeed. Having been raised in India, sharing a roof with 21 other members of his family, Ajit went way beyond what he was “expected” to achieve. Today he believes that when it comes to creating a business and a life you love, it’s all about doing less, not more and his methods have been proven to work again, and again.